Freikorps were German military volunteer units that existed from the 18th to the early 20th centuries, which effectively fought as mercenary or private armies, regardless of their own nationality. 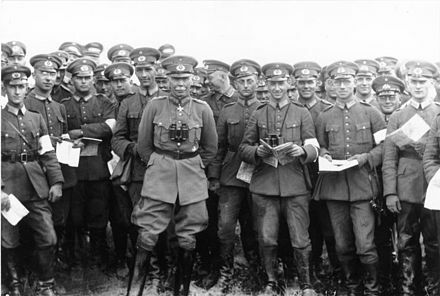 In German-speaking countries, the first so-called Freikorps were formed in the 18th century from native volunteers, enemy renegades and deserters. These sometimes exotically equipped units served as infantry and cavalry, sometimes in just company strength, sometimes in formations up to several thousand strong; there were also various mixed formations or legions. The Prussian von Kleist Freikorps included infantry, jäger, dragoons and hussars. The French Volontaires de Saxe combined uhlans and dragoons. The Reichswehr was limited to a standing army of 100,000 men,  and a navy of 15,000. The establishment of a general staff was prohibited. Heavy weapons such as artillery above the calibre of 105 mm (for naval guns, above 205 mm), armoured vehicles, submarines and capital ships were forbidden, as were aircraft of any kind. Compliance with these restrictions was monitored until 1927 by the Military Inter-Allied Commission of Control. 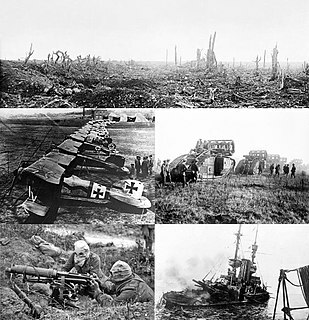 The term Military Inter-Allied Commission of Control was used in a series of peace treaties concluded after the First World War (1914–1918) between different countries. Each of these treaties was concluded between the Principal Allied and Associated Powers on the one hand, and one of the Central Powers like Germany, Turkey or Bulgaria. On 30 September 1919, the army was reorganised as the Übergangsheer (Transitional Army), and the force size was reduced to 20 brigades. About 400,000 men were left in the armed forces,  and in May 1920 it further was downsized to 200,000 men and restructured again, forming three cavalry divisions and seven infantry divisions. On 1 October 1920 the brigades were replaced by regiments and the manpower was now only 100,000 men as stipulated by the Treaty of Versailles. This lasted until 1 January 1921, when the Reichswehr was officially established according to the limitations imposed by the Treaty of Versailles (Articles 159 to 213). An army or land force is a fighting force that fights primarily on land. In the broadest sense, it is the land-based military branch, service branch or armed service of a nation or state. It may also include aviation assets by possessing an army aviation component. In certain states, the term army refers to the entire armed forces. Within a national military force, the word army may also mean a field army. The forced reduction of strength of the German army from 4,500,000 in 1918 to 100,000 after Treaty of Versailles, enhanced the quality of the Reichsheer because only the best were permitted to join the army. [ citation needed ] However the changing face of warfare meant that the smaller army was impotent without mechanization and air support, no matter how much effort was put into modernising infantry tactics. The Nazi Party came to power in Germany in 1933. The Sturmabteilung (Storm Battalion or SA), the Nazi Party militia, played a prominent part in this change. [ citation needed ] Ernst Röhm and his SA colleagues thought of their force – at that time over three million strong – as the future army of Germany, replacing the smaller Reichswehr and its professional officers, whom they viewed as old fogies who lacked revolutionary spirit. Röhm wanted to become Minister of Defense, and in February 1934 demanded that the much smaller Reichswehr be merged into the SA to form a true people's army. This alarmed both political and military leaders, and to forestall the possibility of a coup, Hitler sided with conservative leaders and the military. Röhm and the leadership of the SA were murdered, along with many other political adversaries of the Nazis, including two Reichswehr generals, in the Night of the Long Knives (30 June – 2 July 1934). 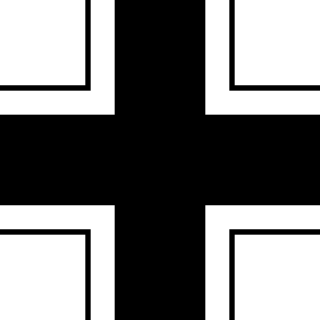 The Reichsmarine was the name of the German Navy during the Weimar Republic and first two years of Nazi Germany. It was the naval branch of the Reichswehr, existing from 1919 to 1935. In 1935, it became known as the Kriegsmarine, a branch of the Wehrmacht; a change implemented by Adolf Hitler. 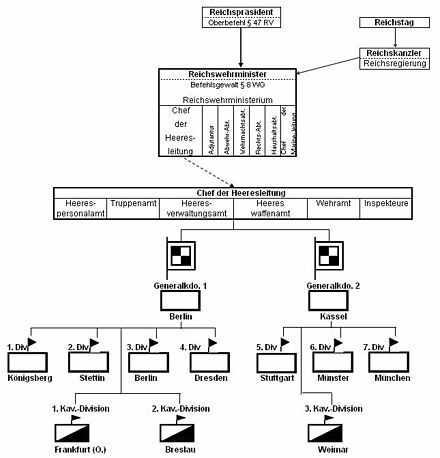 Many of the administrative and organizational tenets of the Reichsmarine were then carried over into the organization of the Kriegsmarine. The Sturmabteilung, literally Storm Detachment, was the Nazi Party's original paramilitary. It played a significant role in Adolf Hitler's rise to power in the 1920s and 1930s. Its primary purposes were providing protection for Nazi rallies and assemblies, disrupting the meetings of opposing parties, fighting against the paramilitary units of the opposing parties, especially the Red Front Fighters League of the Communist Party of Germany (KPD), and intimidating Romanis, trade unionists, and, especially, Jews – for instance, during the Nazi boycott of Jewish businesses. Ernst Julius Günther Röhm was a German military officer and an early member of the Nazi Party. As one of the members of its predecessor, the German Workers' Party, he was a close friend and early ally of Adolf Hitler and a co-founder of the Sturmabteilung, the Nazi Party's militia, and later was its commander. By 1934, the German Army feared the SA's influence and Hitler had come to see Röhm as a potential rival, so he was executed during the Night of the Long Knives, also known as the "Röhm Purge". Kurt Ferdinand Friedrich Hermann von Schleicher was a German general and the last Chancellor of Germany during the Weimar Republic. Werner Eduard Fritz von Blomberg was a German Generalfeldmarschall, Minister of War, and Commander-in-Chief of the German Armed Forces until January 1938, as he was forced to resign due to his marriage with a woman who had posed for pornographic photographs. Johannes "Hans" Friedrich Leopold von Seeckt was a German military officer who served as Chief of Staff to August von Mackensen, and was a central figure in planning the victories Mackensen achieved for Germany in the east during the First World War. Paramilitary groups were formed throughout the Weimar Republic in the wake of Germany's defeat in World War I and the ensuing German Revolution. Some were created by political parties to help in recruiting, discipline and in preparation for seizing power. Some were created before World War I. Others were formed by individuals after the war and were called "Freikorps". The party affiliated groups and others were all outside government control, but the Freikorps units were under government control, supply and pay. Black Reichswehr was the name for the extra-legal paramilitary formations promoted by the German Reichswehr army during the time of the Weimar Republic; it was raised despite restrictions imposed by the Versailles Treaty. The secret organization was dissolved in 1923 upon the failed Küstrin Putsch. The Truppenamt or 'Troop Office' was the cover organisation for the German General Staff from 1919 through until 1935 when the General Staff of the German Army (Heer) was re-created. This subterfuge was deemed necessary in order for Germany to be seen to meet the requirements of the Versailles Treaty. It completely revised German tactical and strategic doctrine and thereby conserved, re-energised and unified the military thinking and capability of the Reichswehr, later to become the Wehrmacht. The 21st Infantry Division was a German military unit which fought during World War II. The German rearmament was an era of rearmament in Germany during the interwar period (1918–1939), in violation of the Treaty of Versailles. It began as soon as the treaty was signed, on a small, secret, and informal basis, but it was massively expanded after the Nazi Party came to power in 1933. Ernst Feßmann was a German general of the Heer who led the 267th Infantry Division in the early stages of World War II. Prior to the war, he was also notable for commanding one of the first Panzer Divisions. The 1st Division was a unit of the Reichswehr, the armed forces of Germany during the Weimar Republic. Walther Gustav Reinhardt was a German officer who served as the last Prussian Minister of War and the first head of the army command within the newly created Ministry of the Reichswehr of the Weimar Republic. During the Kapp Putsch of 1920, Reinhardt remained loyal to the elected government and was one of the few senior officers of the Reichswehr willing to order troops to fire at the revolting units. The relationship between the Wehrmacht, the regular combined armed forces of Nazi Germany, and the regime it served has been the subject of a voluminous historiographical debate. Broadly speaking, there have been two camps. The myth of the Clean Wehrmacht claims that the Wehrmacht had minimal participation in war crimes and genocide. More recently, scholarship has emerged demonstrating that the Wehrmacht was complicit in the Holocaust. ↑ Darman, Peter, ed. (2007). "Introduction: Deutschland Erwache". World War II A Day-By-Day History (60th Anniversary ed.). China: The Brown Reference Group plc. p. 10; 575. ISBN 978-0-7607-9475-3. The Reichswehr, the 100,000-man post-Versailles Treaty German Army, was forced to train with dummy tanks. 1 2 3 Axis History Factbook, Introduction to the Reichswehr, accessed July 2015. ↑ Wheeler-Bennett, J.W. (1967). Hindenburg: The Wooden Titan. Palgrave Macmillan. pp. 207–208. ↑ Kolb, Eberhard The Weimar Republic London: Routledge, 2005, p. 173. ↑ Robert B. Kane, Disobedience and Conspiracy in the German Army 1918–1945, 102. See also Robert J. O'Neill, The German Army and the Nazi Party 1933–39, London, 1968, pp. 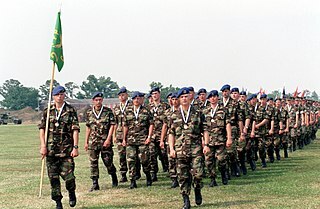 91–92. ↑ Stone, David J. (2006) Fighting for the Fatherland: The Story of the German Soldier from 1648 to the Present Day, p. 450. ↑ Stone says 21 May; Fighting for the Fatherland, p. 316.